Saturn was in a tight conjunction to Troy’s sun at the time of his death. 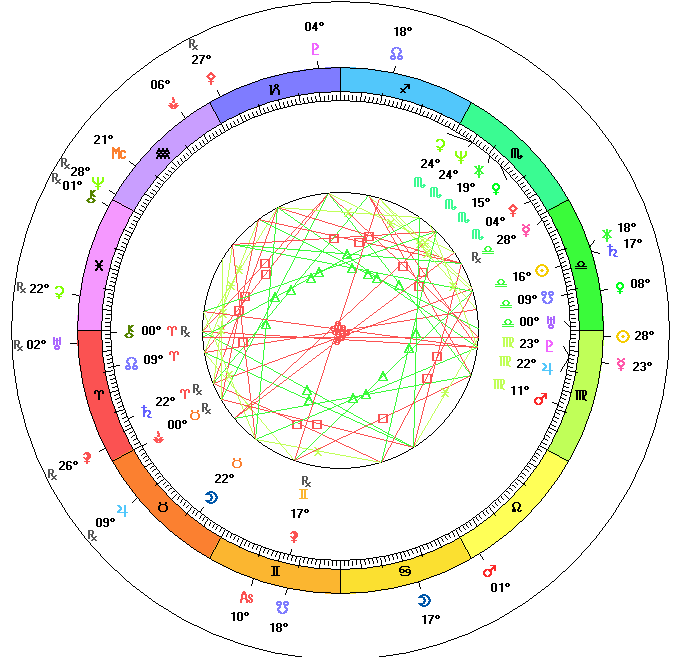 The chart below shows Troy’s birthchart in the inner ring and the transits for his death in the outer ring. Birth Info from Wikipedia: Oct. 9, 1968, Savannah, GA – no birth time available. Aries Wheel used – no MC, ASC or Houses. Troy Davis: Birth Chart Inner Ring (No birth time available. No ASC, MC or Houses) Death Chart: Outer Ring. Exact death time is accurate. See above. Below is Troy Davis’ Birth Chart in the inner ring and the night of the murder that he was convicted and executed for in the outer ring. The crime in question, the murder of Mark MacPhail, occurred on August, 19, 1989 in Savannah, Georgia. I don’t know the time of the crime. 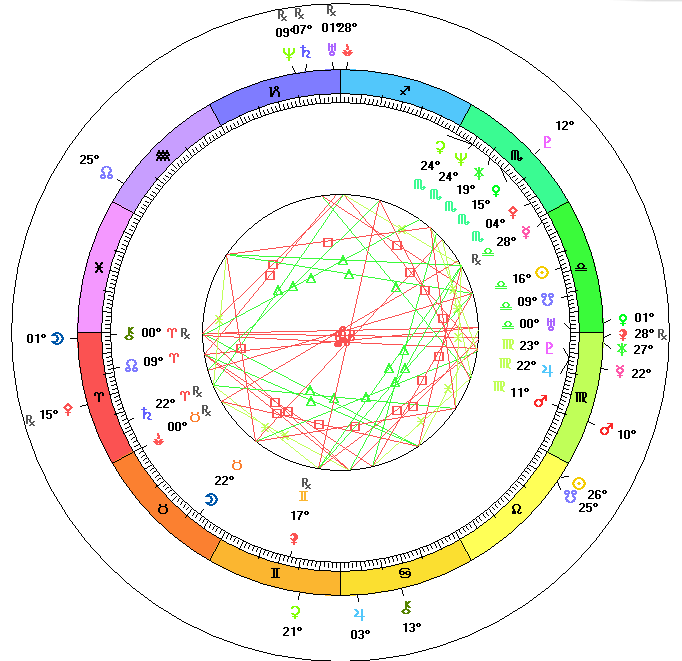 Troy Davis Birth Chart in the Inner Ring. Mark MacPhail's murder on Aug. 19, 1989 in the Outer Ring. I’ve been down here at death row, and we just heard the horrific news. After a torturous delay of more than 4 hours, the state of Georgia has just killed Troy Anthony Davis. My heart is heavy. I am sad and angry. The state of Georgia has proven what we already know. Governments cannot be trusted with the awful power over life and death. Today, Georgia didn’t just kill Troy Davis, they killed the faith and confidence that many Georgians, Americans and Troy Davis supporters worldwide used to have in our criminal justice system. Let’s take a moment to honor the life of Troy Davis and Mark MacPhail. Then, let’s take all of our difficult feelings and re-double our commitment to abolition of the death penalty. Please pledge to continue this fight because it is far from over. 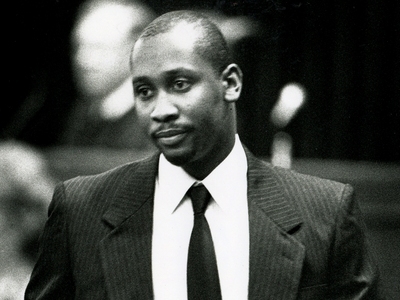 This Friday (Sept. 23, 2011) at 7 pm EST, please join us for a special call to discuss Troy Davis’ case, what your work means for the death penalty abolition movement as a whole and what we can do next. Thank you for everything you have done to make your voice heard.